In summary, the videos will show that the claims made by the missionary Jay Smith are at best dubious, deceptive and have been dealt with extensively by Muslim scholars of the past. The problem is that Mr. Smith is aware of these facts, but chooses to ignore them. When it comes to the Qur’an he will transform into a liberal but when it comes to the Bible he will transform into a right-wing, conservative inerranist. This shows his own inconsistency in dealing with the issues present. If he was serious in the things he has to say about the Qur’an, then we wonder how he can still believe in the Bible as in inerrant document. 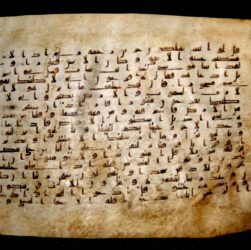 A response to the Christian missionary and polemicist, Jay Smith’s video, “Is The Qu’ran Corrupted? Biblical Characters in the Qu’ran” by Iqra Productions. This video will show that the sources that the Christian missionary Jay Smith uses are dubious, deceptive and have been dealt with extensively by Muslim scholars of the past. It also exposes the weaknesses of the Bible narratives and challenges the missionary to explain the similarities of the Bible narratives with earlier sources and texts.